The New Mexico Foundation for Open Government (NMFOG) announced Thursday that it has hired Peter St. Cyr as its executive director, effective January 1, 2017. St. Cyr, who grew up in New Mexico, earned a Bachelor of Arts in Business Administration at St. Mary’s College in Moraga, California in 1995. After a 10-year career in public relations for a French-based manufacturer, St. Cyr returned to New Mexico to work as a watchdog government reporter. Last year, NMFOG recognized St. Cyr with its William Dixon Award for Journalism. St. Cyr replaces Susan Boe, who is retiring as executive director. 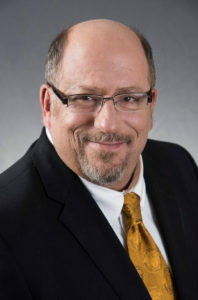 Boe has been NMFOG executive director for the past three years and built on the organization’s 26-year history of strong open government advocacy, including working with lawmakers to strengthen transparency at all levels of government in New Mexico.